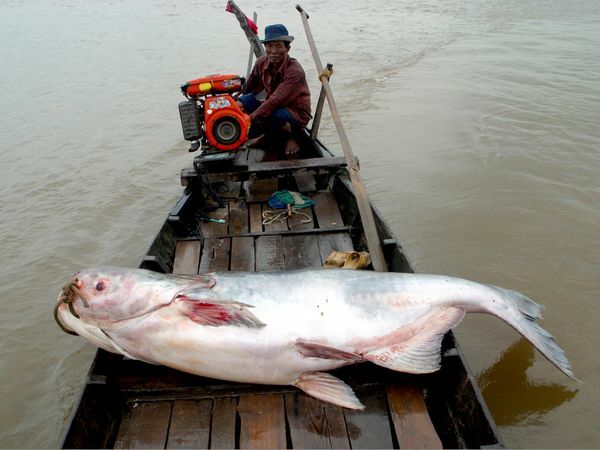 FishMax - THE Australian Online Fishing Magazine: Holy Sh*t or Bull Sh*t- Giant Mekong Catfish - the truth! Holy Sh*t or Bull Sh*t- Giant Mekong Catfish - the truth! Last week we published this photo claiming to be of a giant catfish from the Mekong River and asked the question - "Holy Sh*t" or just plain "Bull Sh*t"? So is this really a photo of a Giant Mekong Catfish or a hoax? There is no doubt that the Mekong giant catfish(Pangasianodon gigas), native to the Mekong basin in Southeast Asia grows to magnificant proportions. With recorded sizes of up to 3.2m (10.5ft) and 300kg (660lb), the Mekong’s giant catfish currently holds the Guinness Book of World Record’s position for the world’s largest freshwater fish, but is this particular photo real? have these two men really caught a catfish as big as two full grown men? The answer (praise the lord) is yes! This photo is of a real giant fish caught by net in the Mekong River by fishermen in the Chiang Khong district of northern Thailand on 1 May 2005. It was measured at 2.7 metres long (nearly nine feet in the old money) and weighed in at 293 kg (646). That august journal the National Geographic described it as "Big as a Grizzly Bear!". ﻿ Media reports from the time say that a team of fishermen struggled for more than an hour to haul the giant fish in. Apparently, Despite efforts to keep the Mekong giant catfish alive, it died and was later eaten by villagers. The Mekong giant catfish (Pangasianodon gigas) species is listed as critically endangered by the World Conservation Union (IUCN), which means it faces a high risk of extinction in the wild. 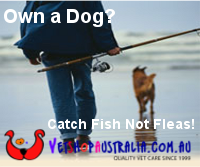 Well it looks like that's another great big fish we're just going to have to go after before we die! (catch and release of course!). 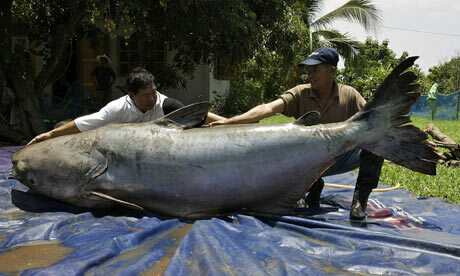 So, its clear that the story of the Giant Mekong Fish is "Holy Sh*t" not "Bull Sh*t"
Now that's a fish I'd like to catch!